As you’d expect with a vehicle that starts around $165,000, the Bentley Bentayga makes a whole lot of power. 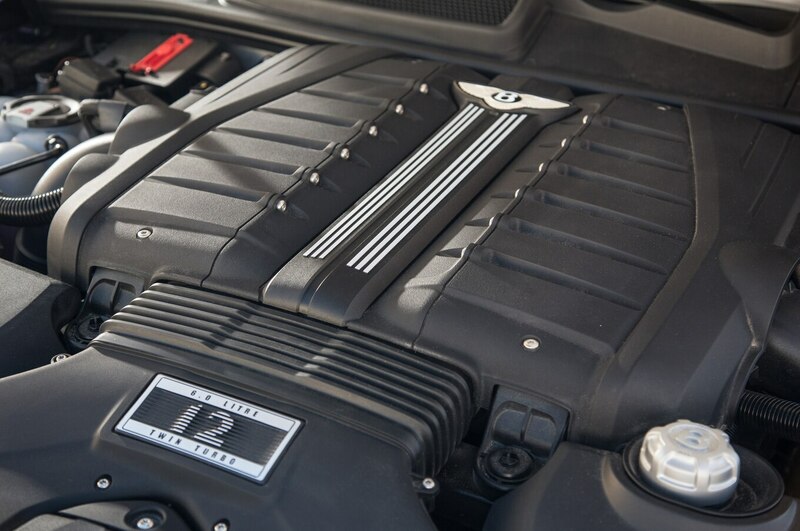 And if the base model’s 542-hp V-8 isn’t enough for you, Bentley will gladly sell you one with a 600-hp W-12. In Motor Trend testing, that powerplant was strong enough to launch the Bentayga from zero to 60 mph in 3.5 seconds, making it quicker than an Aston Martin DB11. And from the sound of it, there’s a good chance Bentley’s working on a new version that will be even quicker. According to Autocar, Bentley plans to introduce a Speed version of the Bentayga later this year. The report says to expect the Bentayga Speed’s W-12 to make about 650 horsepower. That’s said to be enough to give it a top speed of 190 mph and knock a tenth or two off its zero-to-60 time. Chassis upgrades should improve cornering, but don’t expect the Speed to lose much weight. And as the top-of-the-line Bentayga, it should be even more luxurious than the W-12. Of course, more power and luxury come at a cost. Autocar believes the Bentayga Speed will cost about £20,000 more than the £165,000 Bentley charges for the current top-trim SUV in the U.K. If you apply a similar 12-percent price bump to the U.S.-spec Bentayga W-12’s $229,100 ask, it works out to about $257,000. For now, the Bentayga Speed still hasn’t been officially announced. But if Autocar is correct that it will go on sale this year, expect it to be revealed soon, perhaps as early as the Geneva motor show in March. The big-bucks luxe SUV gets the Mulliner touch, fancy wheels, and Blackline details.